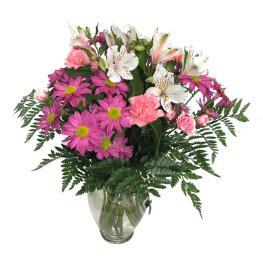 The Adrenaline Blush Bouquet is an amazing spectacle of popping color and a vibrant rush of undeniable beauty. 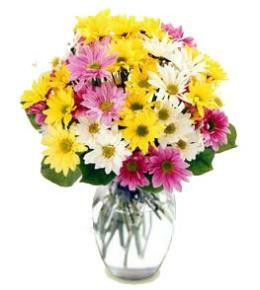 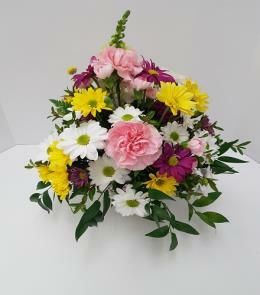 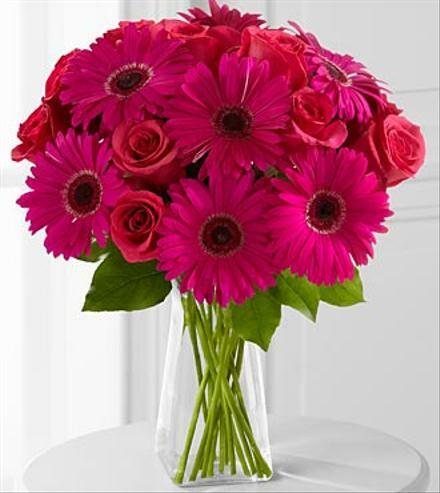 Our finest fuchsia roses are paired wth cheerful hot pink gerbera daisies to create a stunning bouquet that offers a vibrant way to express your love and affection with each eye-catching petal. 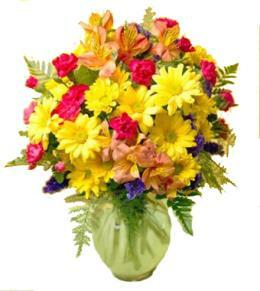 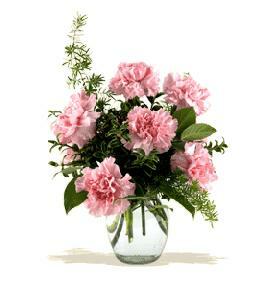 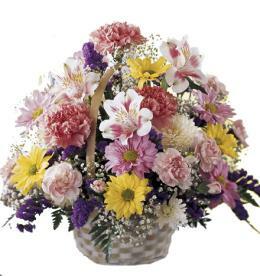 Birthday Flowers For Mom - Adrenaline Blush Bouquet in Vase.